Caroline met with the Liberal Democrat London Assembly candidate for the City and East constituency Elaine Bagshaw to go out door knocking in Tower Hamlets. They were joined by special guest Dave Hodgson, the Mayor of Bedford, and spoke to many local residents and small business owners in the Chrisp Street Market area about the upcoming London Mayoral elections. 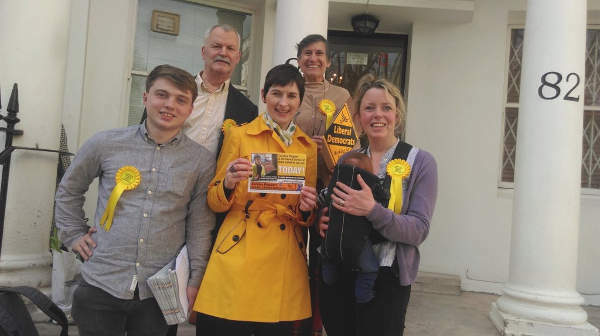 Caroline met with the Liberal Democrat London Assembly Candidate Annabel Mullin for the West Central constituency and her local campaign team in Bayswater. Annabel is a busy mum to two young children and she brought them along to campaign in a cargo bike! 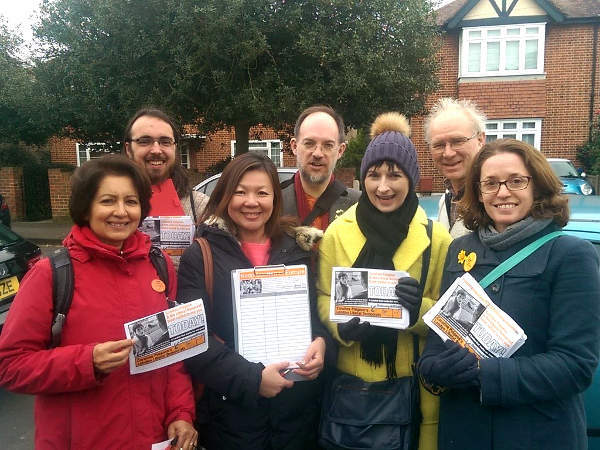 Caroline had a great session campaigning with local Liberal Democrat London Assembly Candidate Annabel Mullin and her local campaign team. Annabel gave birth five weeks ago and the baby came out campaigning too! 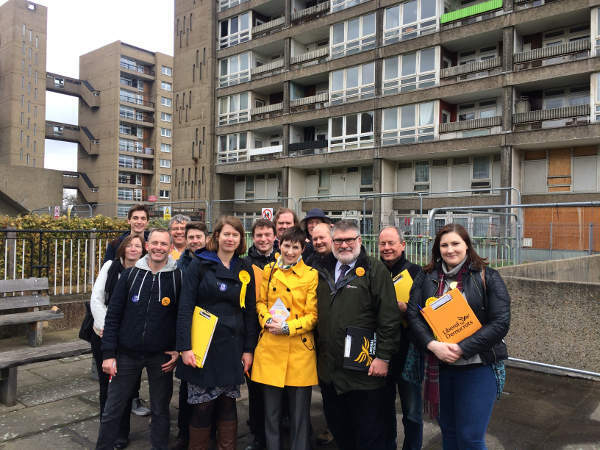 Caroline visited her old ward of Newington in Southwark, and was joined by a group of Southwark Lib Dem campaigners to speak to local residents about the upcoming Mayoral elections. 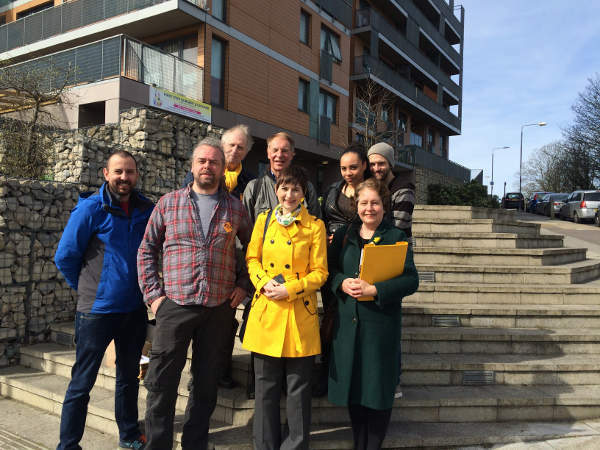 Caroline went door knocking in Plumstead, Greenwich with local Lib Dem campaigners and spoke about a range of local issues. Caroline then went on to meet with the No to Silvertown Tunnel campaign group to discuss their concerns about the scheme, and the health effects to locals of having a greater volume of traffic in the local area. 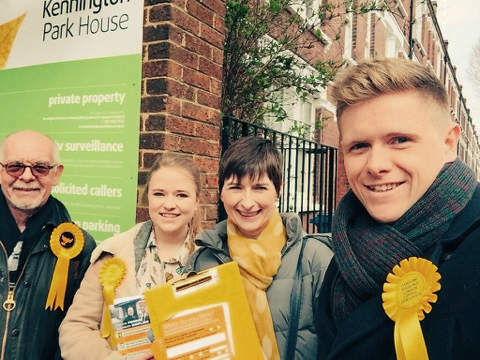 Caroline Pidgeon went out campaigning in Islington with the Liberal Democrat London Assembly Candidate for the North East constituency, Terry Stacey. 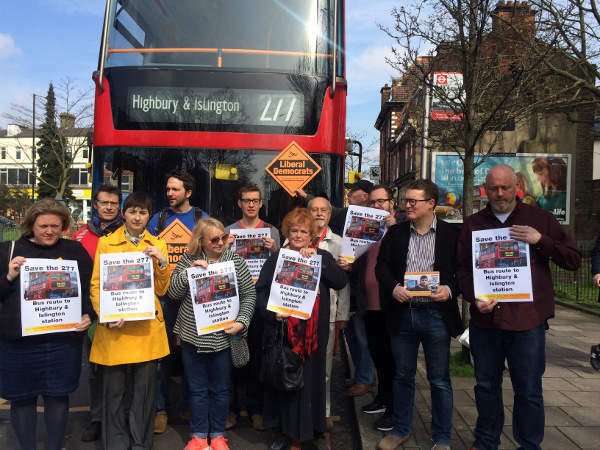 They campaigned on Caroline’s Half Price Fares before Half Past Seven and to save the 277 bus route from being cut before it reaches Highbury and Islington – a policy which local residents do not want. 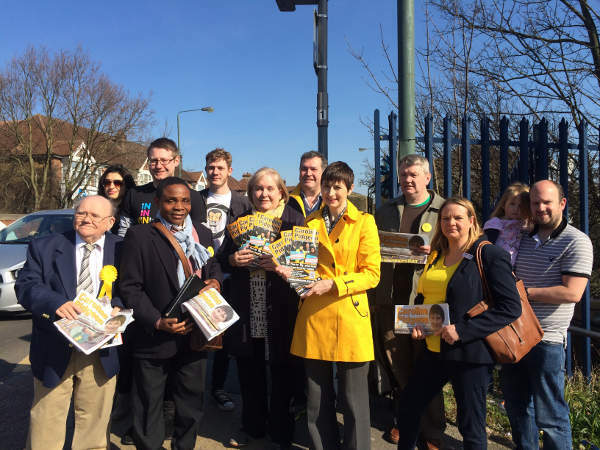 Caroline Pidgeon spent the afternoon in Bromley with the local Liberal Democrat candidate for the London Assembly Bromley and Bexley constituency, Julie Ireland. 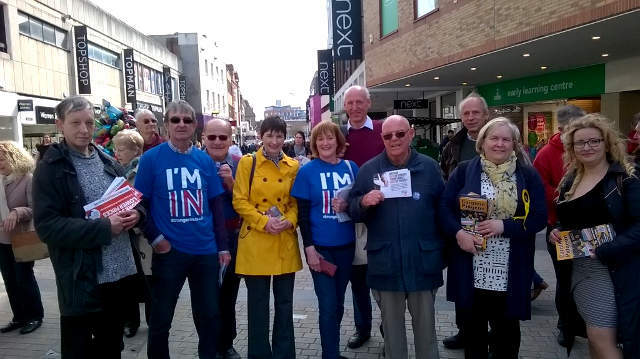 They met with residents to discuss local issues, then went on to meet the Britain Stronger In Europe cross-party campaigners to lend their support. 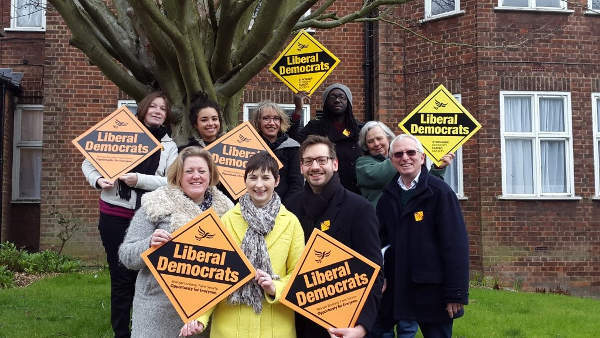 Caroline Pidgeon had a great visit to Bexley to meet with the local Liberal Democrat candidate for the London Assembly Bromley and Bexley constituency, Julie Ireland. They started in Bexleyheath talking to passengers about Caroline’s Half Price Fares before Half Past Seven campaign, and then moved onto Sidcup to meet local businesses. 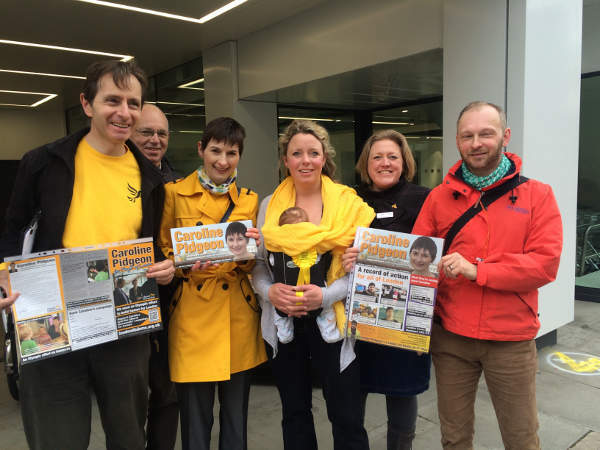 Caroline Pidgeon went out campaigning with local Lib Dem campaigners in Crouch End to speak to local residents. She was joined by local London Assembly Lib Dem candidate for Enfield and Haringey Nicholas da Costa and campaigner Dawn Barnes. They received a great response on the doorstep.